You forgot "Dead Man's Party" by Oingo Boingo and Type O Negative's "Black No. 1." Hello. Please. If you are a Clinton supporter in Utah, take into consideration voting for Jill Stein. Not only could you help swing Utah to a third party and deliver electoral votes to someone other than Trump or Clinton, you are also helping the Green Party reach its goal of 5 percent nationwide. If it makes that number, it will be eligible for more funding to grow. This is healthy for the country. Please be generous with your vote and not only be selfless by helping the Green party, but helping to win Utah for McMullin. Any help for Stein is appreciated. The way polling is right now, McMullin may not have enough room to win. Thank you. I have recently been in court to enforce my father's wishes about his estate. I have witnessed firsthand how lawyers get hand-picked people to lie under oath. I have witnessed close relatives lie under oath to affect the outcome. This seems to be the status quo regarding the majority of the lawyers I have dealt with. In watching the third presidential debate, I believed that Trump has been telling the truth and that the lawyer, Clinton, has been doing the same thing that I have experienced in my court experience. She is very clever and evil about spreading false information. All of my life I have been more Democrat than Republican. Mostly because the Democrats are for the poor little guy. I do not see that anymore. "Yikes!" is all I can say to the claims made by LDS Church President Thomas S. Monson this past Oct. 2 in his sermon/speech to that church's members during their 186th semi-annual General Conference. Mr. Monson was quoted as saying his church is "blessed to have the truth" and "We have a mandate to share the truth." I say "yikes" because there are adherents to hundreds of religious, political, economic and social movements and ideologies around the world who say the same thing. Now, if they're all correct about having the truth even though their truths differ, does this mean there are many truths which remain so although they may contradict one another? Or, is there really only one truth that they all have? Or, does my own dogma state the truth while all the others are untrue, maybe even lies. Or, since they all can't be true simultaneously, are there any ultimate truths? And what about that mandate to spread their views that those who think they have the truth believe they must carry forward? Should their truth be spread to others by force if necessary? After all, everyone deserves to have the truth and only fools would reject it. Mr. Monson's statements raise so many unanswered questions. Perhaps a better way to frame truth claims is to say, "We think we're on the path to truth and are coming closer to it as time passes. We might even actually find having the truth is less important than the fact that we constantly seek it. We can improve our ideas through rational inquiry aimed at discovering the truth while considering others' views in the process." Oops, wait a minute, didn't the ancient Greek philosopher Socrates say that already, around 2,400 years ago? Hmmmm. Does this mean there might be at least one "truth" in the world of human affairs, namely that "there's nothing new under the sun"? 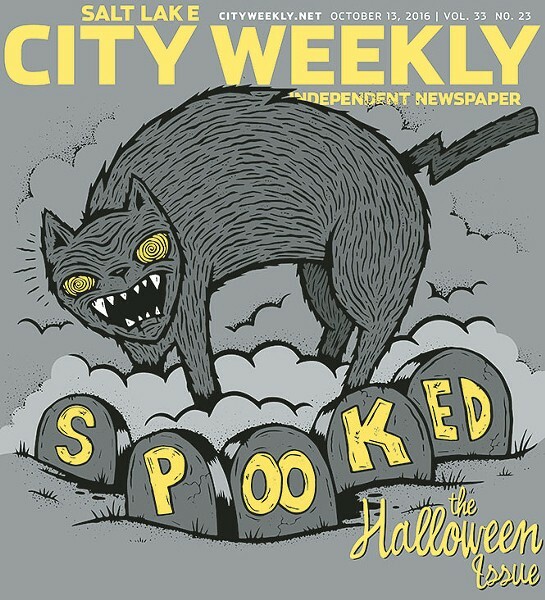 I just signed up with City Weekly. Yesterday I was banned from the discussions on The Salt Lake Tribune. I wasn't given any reason but I've been critical of the Tribune's political endorsements and of a certain editor. I had about a dozen comments removed all at once and then was banned! The Tribune needs to be reminded that freedom of speech is still a right in Utah. Have you listened to the interstice between the sounds? Dine, Oct. 13 "Noodling Around"
Tosh's is great, but you can also get a great little bowl of ramen on the cheap at Japan Sage Market just a block away from Tosh's. Tonkotsu Ramen Bar is way better than Tosh's Ramen. Great. Now I'll be thinking about ramen until I get some. Also, gotta get a bowl of Shanghai fat noodle soup at Boba World in Bountiful. Pork, chicken, veggie, spicy ... it's all great. Muy buena sopa esta mejor y con buen sabor. Saludos a mis amigos de SLC.